When you think about hiking in Georgia, you probably think about North Georgia. All the mountain areas have so many spots for great hikes. But did you know that you can go hiking in south Georgia too? Well believe it or not, there are some great hiking places to try. Let’s take a look at some of different parks, that include several different hiking trails. I’ll show you where they are, and what big city they’re closest to. So if you like hiking and want to find some good trails, check these out. 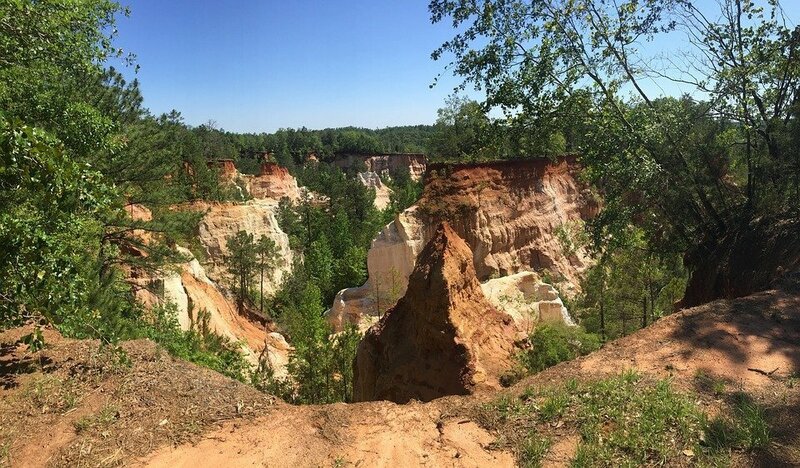 Nicknamed Georgia’s “Little Grand Canyon” is located in Lumpkin Georgia. It’s about 40 minutes south of Columbus, and has ten miles of hiking trails. They all start and end at the visitor’s center. Canyon Loop is one of the most popular trails. It’s almost five miles long and it takes about two hours to hike. After about a quarter of a mile you’ll reach the canyon floor. You’ll hike though wooded areas along the trail that’ll give you plenty of shade. But you’ll really love the open canyon areas. It’s 680 miles of amazing wilderness, and is located in Folkston Georgia. It’s about an hour north of Jacksonville Florida. You can hike on the Chesser Island Boardwalk trail all the way to the Owl’s Roost Tower. There you’ll be able to get a great view of the wilderness. You’ll also find some educational exhibits and even an onsite concession. If you’re into photography, this is the place to be. With all the wilderness and the wildlife. 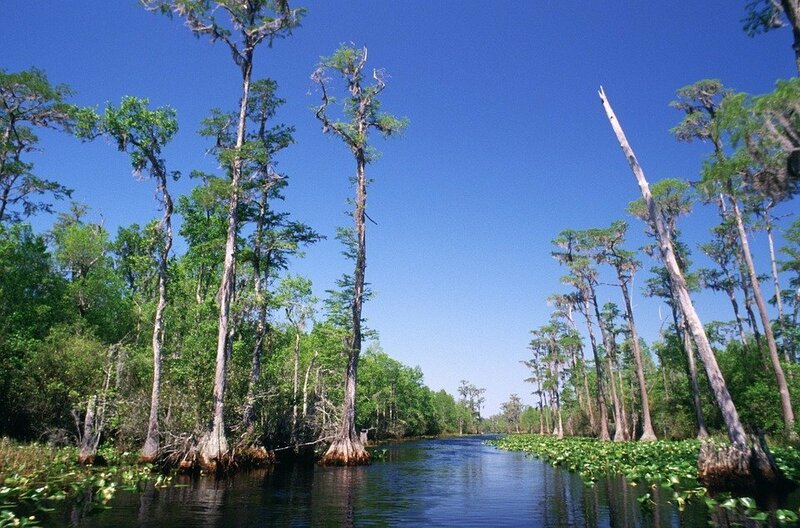 Like the Cypress trees that are full of Spanish moss, the alligators, a variety of birds, and even some cranes. There are several entrances to the park, and each one has it’s own facility, and it’s own unique look. If you’d like more of a coastal hike, this 500 acre Georgia State Park is on the south bank of the Crooked River. Located in St. Mary’s Georgia, and is about 40 minutes north of Jacksonville Florida. Bring your camera for some great shots as you hike through the forest and the salt marsh. 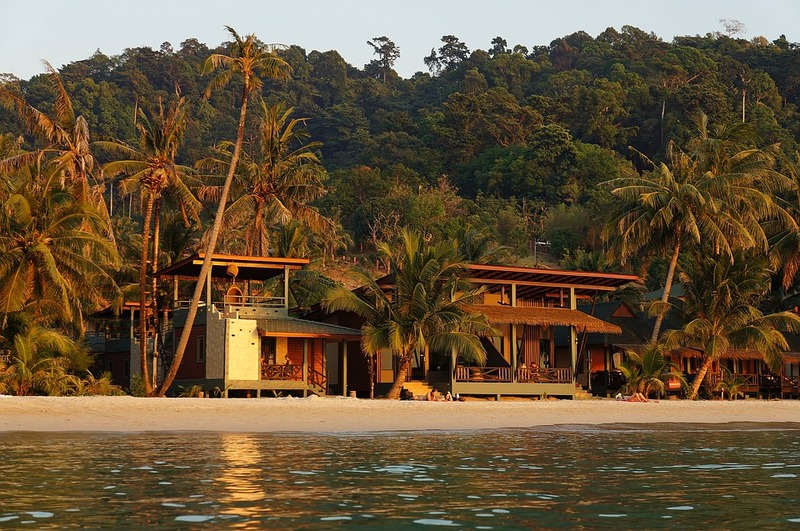 You should see plenty of wildlife, like tortoises, crabs, herons and other types of birds. There’s also a nature center where you can see snakes, turtles, fish and other animals. You can also walk through an old mill that was used as a factory during the Civil War. There are plenty of trails at the Crooked River State Park. Palmetto Trail is a one and a half mile trail through the south Georgia pine flatwoods. Sempervirens Trail will take you through some large old trees. Like oaks, hickories and cherry trees. River Trail is a shorter trail which is only a few hundred yards long. It’s a great spot for doing some fishing, or even some bird watching. 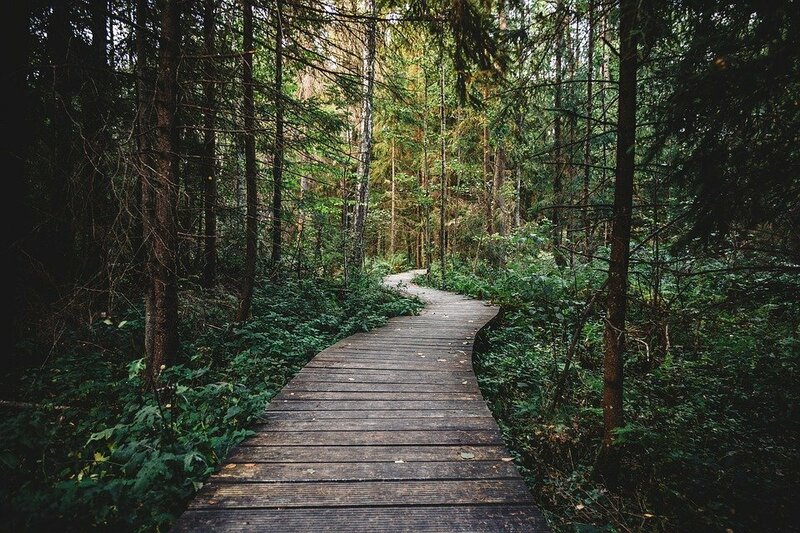 Bay Boardwalk Trail takes you on a hike through some hardwoods and some evergreen wetland. It’s a shadier, cooler and more humid trail than the other ones. It’s not only a park, it’s also a zoo. It’s on 800 acres and located in Albany Georgia. 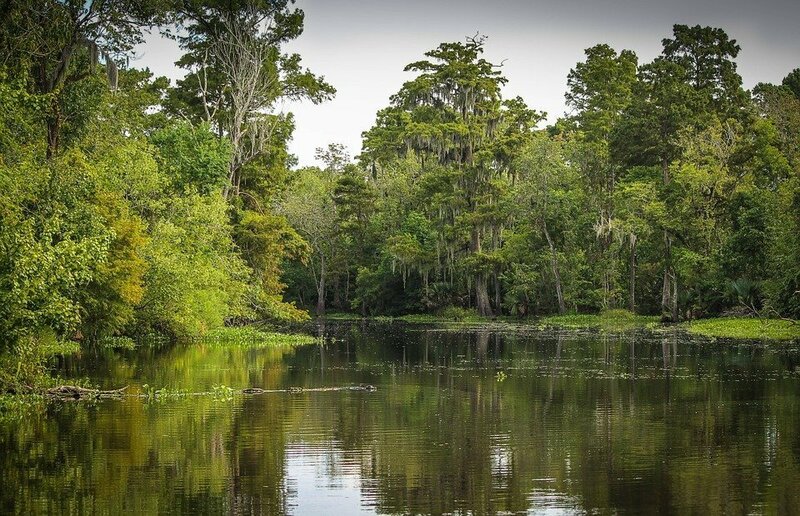 It first opened in 1937 and was called Chehaw State Park. The Wild Animal Park was later designed by Wild Kingdom’s Jim Fowler who is from Albany Georgia. The park trail has plenty of twists and turns and is almost ten miles long. 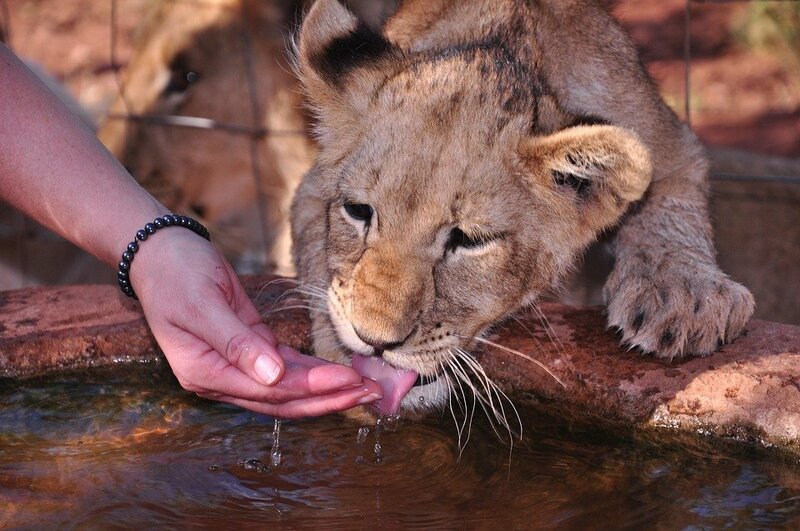 Chehaw park also has a petting zoo, a train ride and plenty of other things to do. This is a great place to go for the whole family. This Georgia state park is 1,613 acres, and is located in Adel Georgia, which is about 30 minutes north of Valdosta. 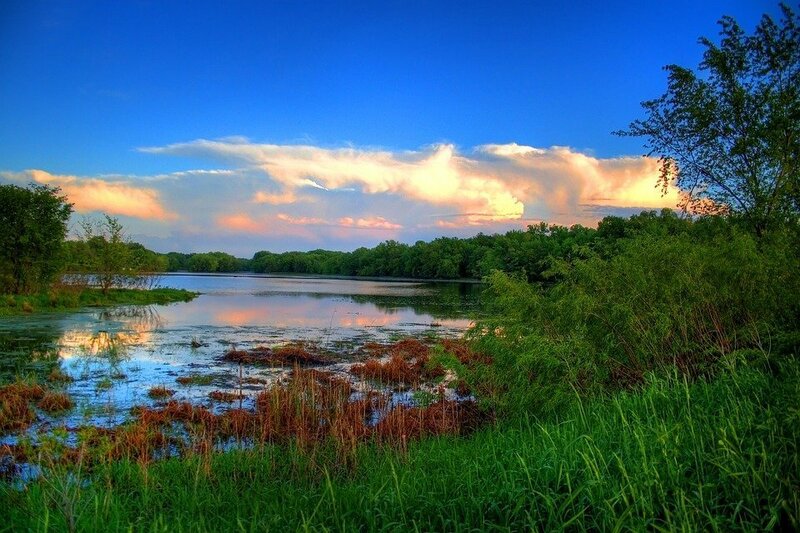 The park wraps around a 375 acre lake, making it great for hiking. You can usually see plenty of wildlife too. Like tortoises, turtles and maybe some snakes. Don’t forget to keep an eye out for the occasional alligator along the shoreline. If you like bird watching, you should see some of them also. Bald eagles are even sometimes seen. You’ll find plenty of small hiking trails within the park. Little River Trail is just under a mile, and takes you to River Swamp. There you’ll be able to see a lot of plants like the bald cypress, tupelos and spruce pine which do well in wet areas. There are also boardwalks and two observation points that overlook the river. The Birdwalk Trail is a little over half a mile and takes you away from the river. But you’ll be able to enjoy all the different southern hardwoods. This trail also has a boardwalk with an observation area. The Upland Loop is almost a mile long and takes you around in a small circle. It starts on the edge of the river and then crosses over to a pine woodland area. The different plants and trees you’ll see will make great photos. Turkey Oak Trail is less than half a mile and takes you through an area full of plant life. It’s also a spot where you’ll see plenty of Gopher tortoises. The Gopher Tortoise Bike Loop is a mile long and has a variety of large oaks and pines. This is also another area where you’ll see a lot of Gopher Tortoises. Yearling Trail is another mile long trail. It connects to the Little River Loop and Birdwalk Trail. Also the northern edge of Red Roberts Loop Landing. This trail has some great scenic overlooks of the Little River. Red Roberts Loop is a little over a half a mile and is at the north end of the park. It’s a forested trail that has two wooden bridges that cross one of many creeks that flow into the Little River. 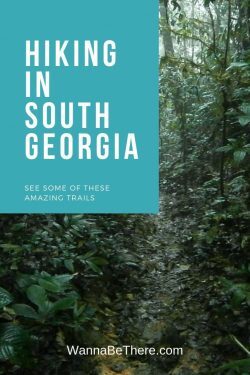 There are plenty of options for you to go hiking in south Georgia. 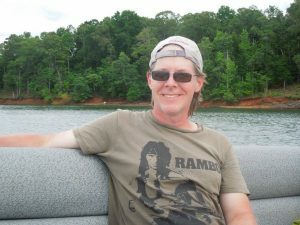 If you live anywhere in the middle or the south part of Georgia, this would make a great day trip. Even the north part of Florida. Have you ever been hiking at any of these parks? If so, what’d you think? You can add whatever you’d like in the comments section below.